At the 2015 Outstanding Women of Today... Builders of Tomorrow Awards Luncheon, 32 outstanding women were honored for their dedication in their field of work. For a show case of all nominees, please visit the Awards Luncheon page. 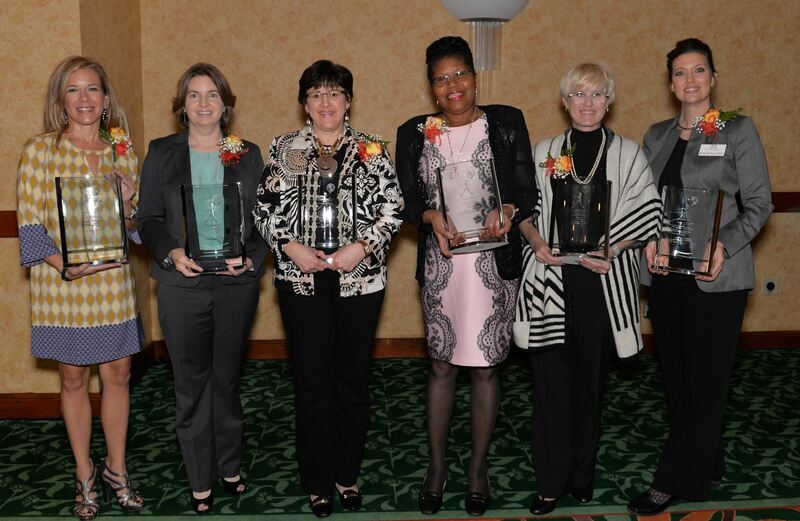 Honorees of the 2015 Outstanding Women of Today… Builders of Tomorrow Award were (Pictured L-R) Larissa Linton, (Nonprofit), Cindy D. Marshall, MD (Corporate), Lori A. Leu, (Small Business), Lydia GrayHenderson, (Government), Audra G. Barrett, (Education) and Kimberley J. Stallings, (Woman of Tomorrow). Ann Hambly • 1st Service Solutions, Inc.
Michelle Hollaender • HELPS International, Inc.
Jennifer Stroup Bobo, AuD, CCC-A • Oticon, Inc.